Boca Raton FC will begin providing weekly content for the Tailgate Show beginning tonight at 7pm ET with the guest appearance of Boca Raton FC President Douglas Heizer. Since 2011, The Tailgate Show has covered local South Florida soccer with a unique spin – the fan driven program that is broadcast from the “kudio” has long been seen as the organic voice of soccer supporters in the area. 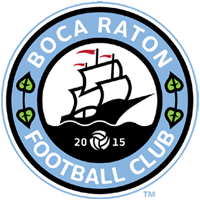 You can listen to the March 16 show here and continue listen to the program throughout the Boca Raton FC season.